On the Internet, you don’t have to be a rocket scientist to be rich and famous. Popularity can help! Take Snooki for example. 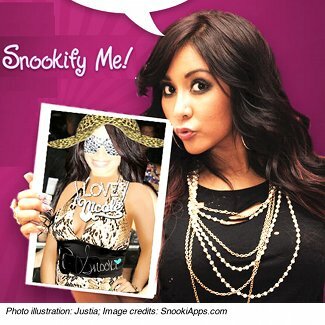 The MTV star extended the reach of her intellectual property by licensing rights to her name, images, and more in a “Snookify Me” app for the iPhone and Android. It lets users Snookify themselves and their pets. SEC filings reveal that Snooki could make some serious dough from the deal. Oh, and there’s that stock thing too (see below).